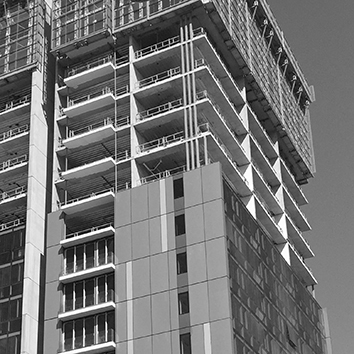 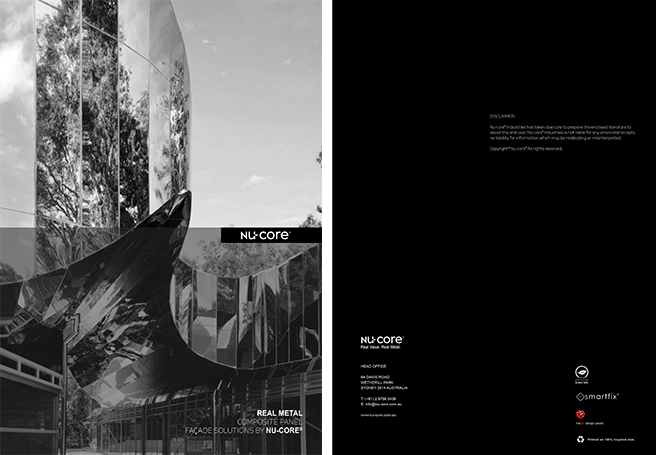 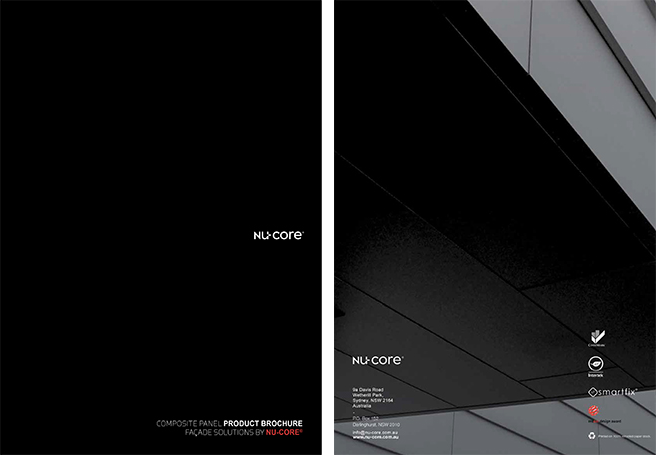 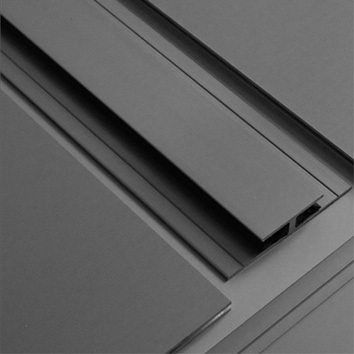 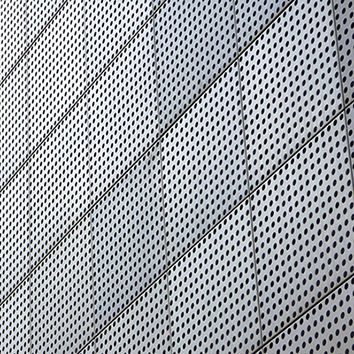 MATERIALS: Nu-core® Stainless Steel Composite Panels are composed of two Stainless Steel skins either side of the Nu-core® material. 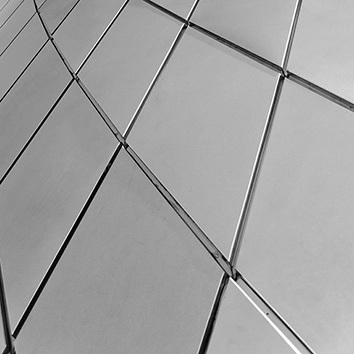 Available in 304 or 316L grade Stainless, Dull Finish, Mirror Finish or Brushed Finish. 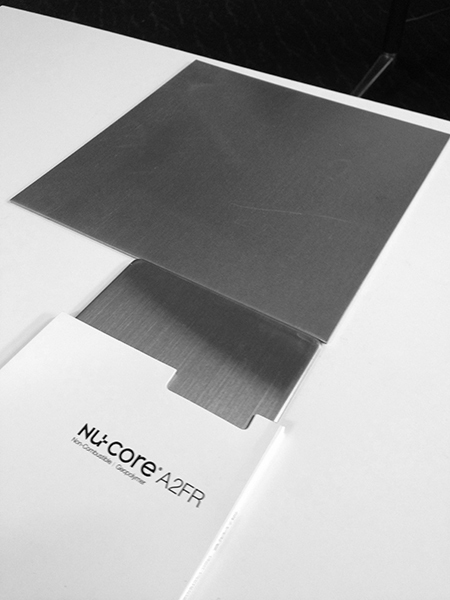 Compared to Solid (3mm) Stainless steel, Nu-core® Stainless Steel (4mm) composite is equal in it’s rigidity. 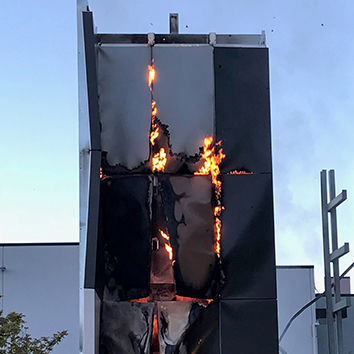 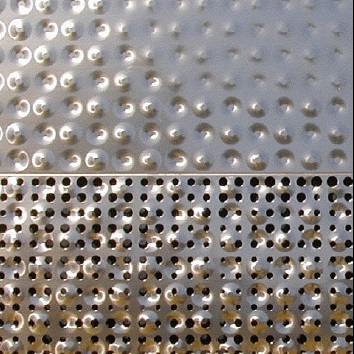 This reduction in Stainless Steel compared to Solid Stainless steel applications, ensures lower energy consumption and CO2 emissions during production of materials.